Shirley A. Miller, 82, died surrounded by her loving family Friday morning March 29, 2019 at the High Point Hospice House in Haverhill, MA. She was born in Newburyport on October 12, 1936 to the late Alton and Lillian (Burns) Chisholm. 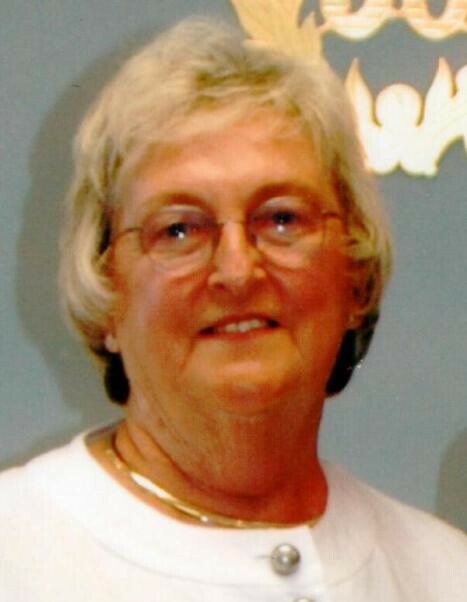 Raised and educated in Newburyport, Shirley was a graduate of Immaculate Conception High School class of 1954. Following her graduation she met and married Robert J. Miller and the couple enjoyed 62 years together. Shirley was a stay at home mom raising their family in Newburyport. A job she cherished as nothing gave her more pleasure than entertaining and cooking for her family and friends, especially for her grandchildren. Traveling was also done as a family, enjoying trips to Aruba, Bermuda, and Mexico together. She also enjoyed Ireland, Cruises, and “Snow Birding” for the past 15 years to Englewood FL. In addition to her husband, Shirley is survived by her daughters, Jill Miller of Newburyport, Joellen Smart and her husband John of Seabrook, and Joan Lysik, and her husband Thomas of Seabrook; grandchildren, Timothy and Matthew Smart, and Elizabeth Clopton; as well as several nieces and nephews. She was predeceased by her brothers, William and Robert Chisholm. Family and friends may call on Tuesday April 2, 2019 from 4:00 to 7:00 PM at the Twomey, LeBlanc, & Conte Funeral Home 193 High St. Newburyport, MA 01950. Her Funeral Mass will be celebrated at 10:30 AM on Wednesday April 3, 2019 at Immaculate Conception Church, followed by burial at the Burial Grounds of the Town of Rowley. In lieu of flowers memorial contributions may be made in Shirley’s name to the Home Health Foundation Attn: Community Engagement 360 Merrimack Street, Building 9 Lawrence, MA 01843.